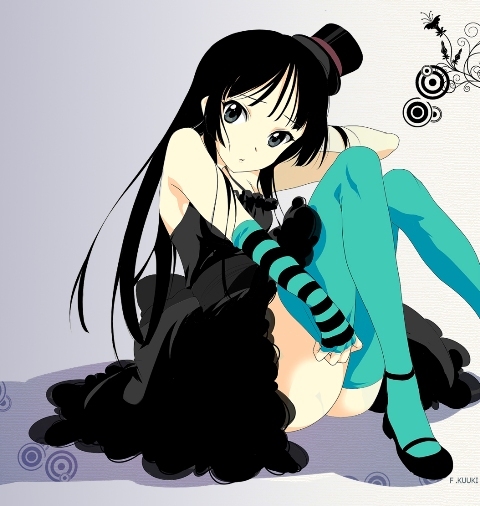 Shy and introverted, Akiyama Mio is a member of the Light Music Club and a bassist. She plays a left-handed, 3-Color Sunburst Fender Jazz Bass with a tortoiseshell pickguard. Mio initially planned to join the Literary Club, but was forced by Ritsu Tainaka (her childhood friend and the club drummer) to join the Light Music Club. Mio is an academic achiever, and she gets excellent grades in school, though she hates listening to subjects that involve macabre experiences such as ghosts, blood, barnacles and haunted houses. Akiyama Mio also dislikes being the center of attention, which is why she chose the bass as her musical instrument. Along with Yui, Mio is one of the band’s primary vocalists, though because of her dislike being in the spotlight, she tries to avoid being the lead vocalist as much as possible, only volunteering to perform whenever Yui is unable to. You are currently browsing the Nanao’s Cosplay Research weblog archives for September, 2010.